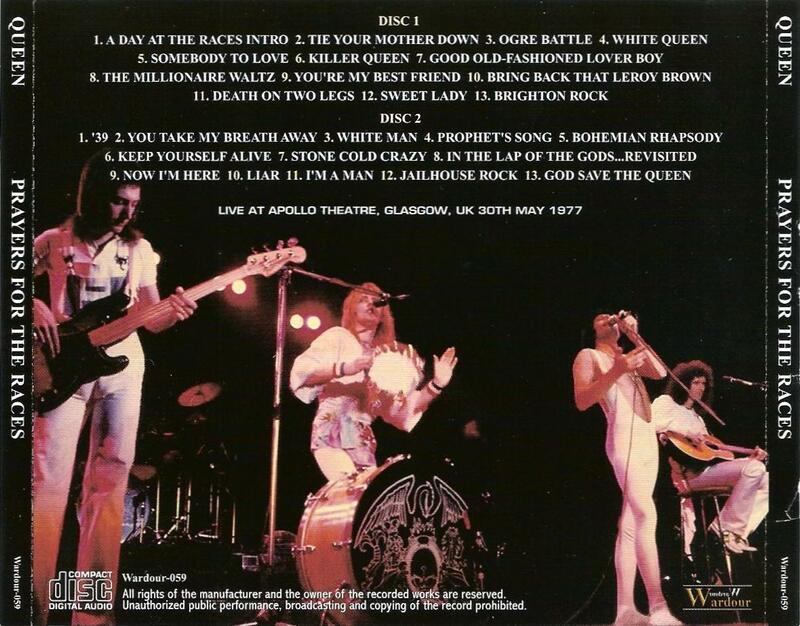 This show at the legendary Glasgow Apollo (the first of two nights) is a stellar performance by the band. 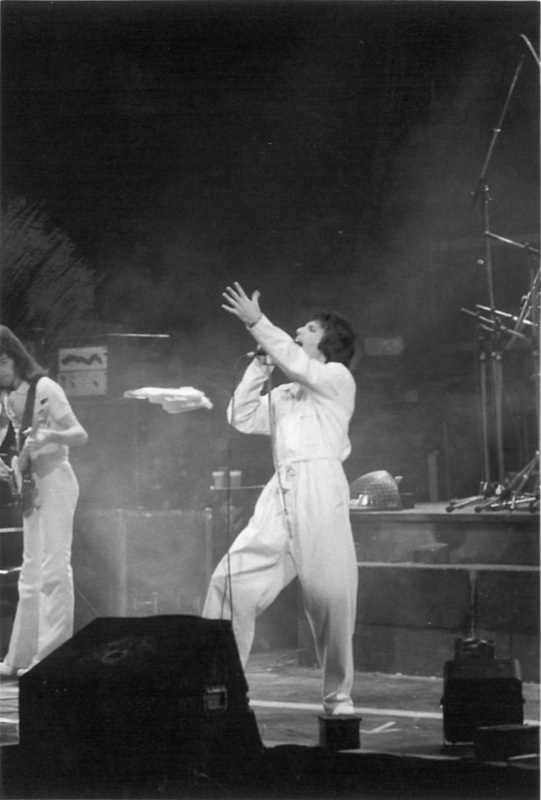 Last night's audience in Stafford has certainly left the band energized for this show. 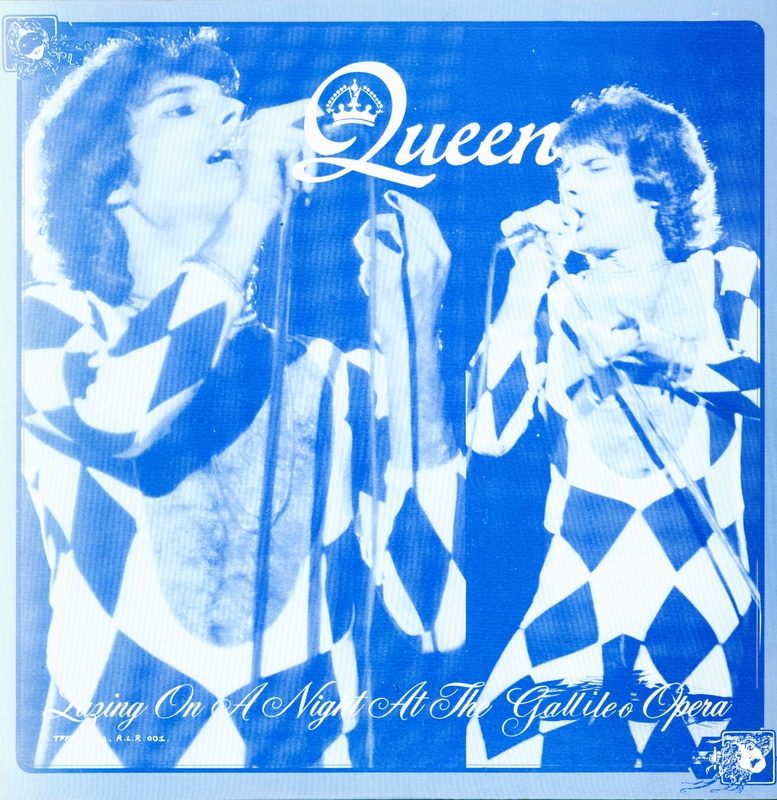 Tonight's audience is incredible as well, clapping and singing every word along to most of the songs. 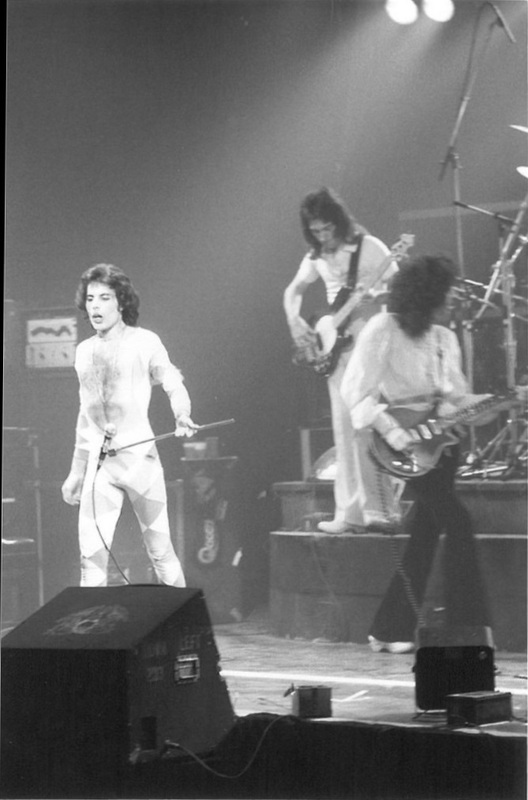 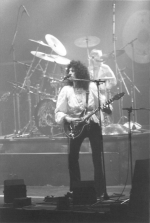 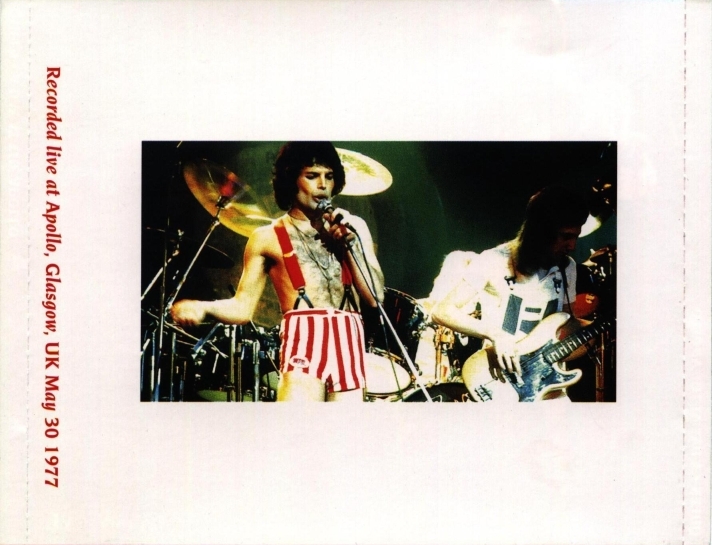 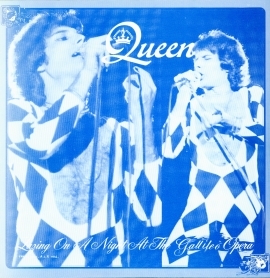 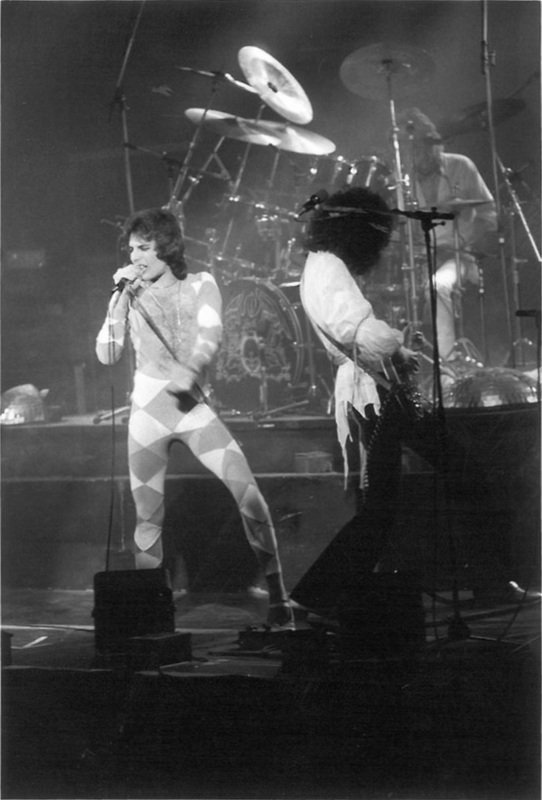 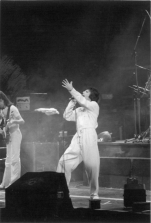 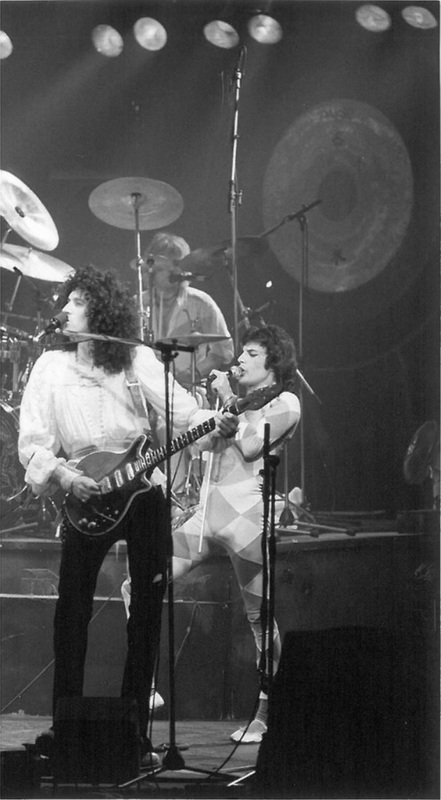 Freddie changes the lyrics of Killer Queen, as he had done a few times on this tour. 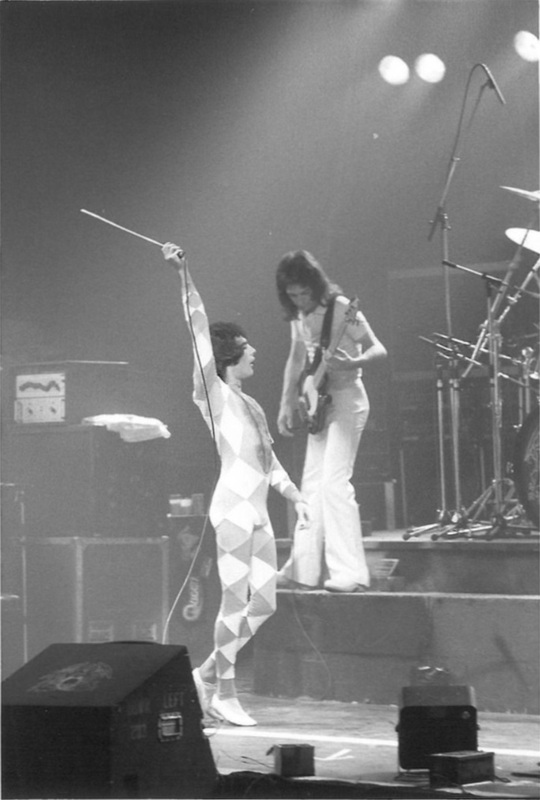 Perfume came naturally "from Glasgow" in the second verse. 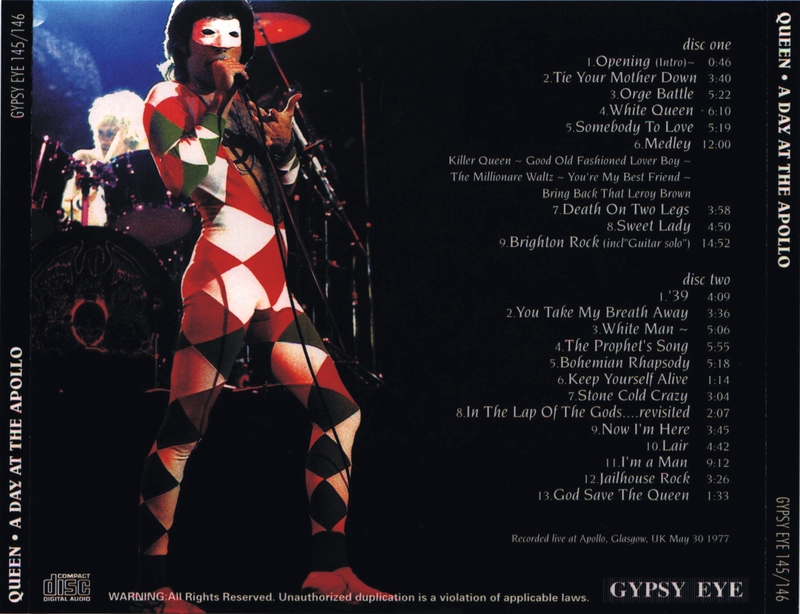 Brian's Brighton Rock solo tonight is particularly outstanding. 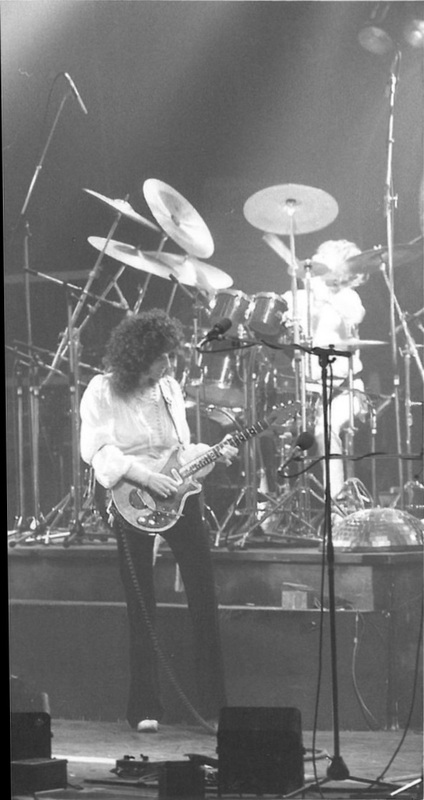 The photos were taken by Ron Strathdee, and could be from either night. This 1990 box set bootleg named after the 1969 James Bond film is a 2 LP compilation. 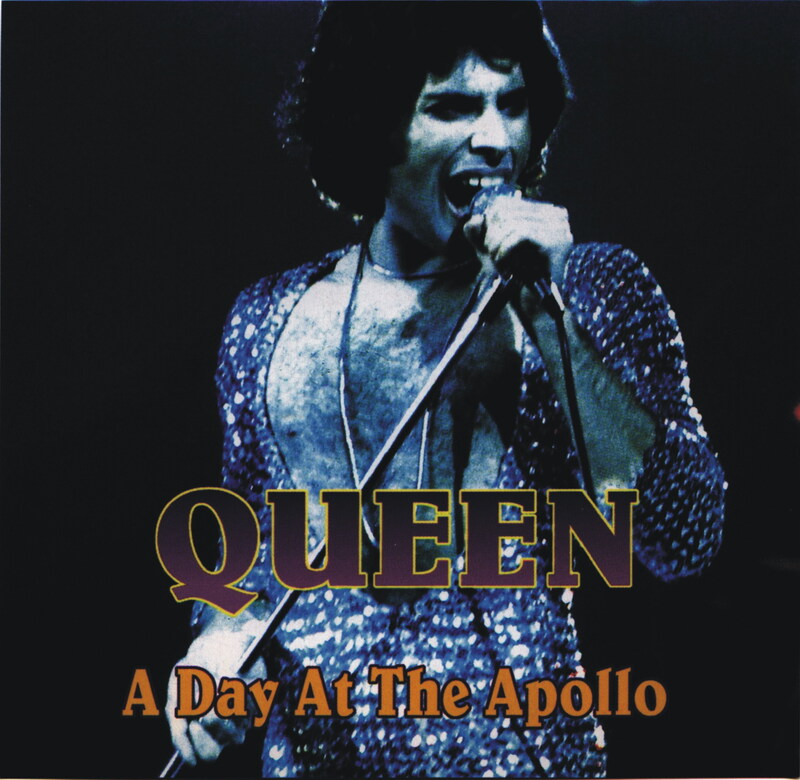 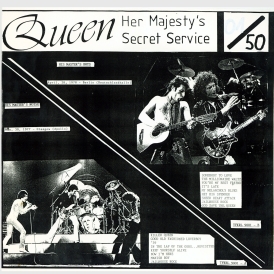 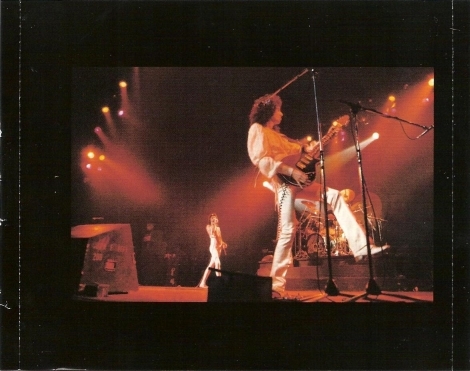 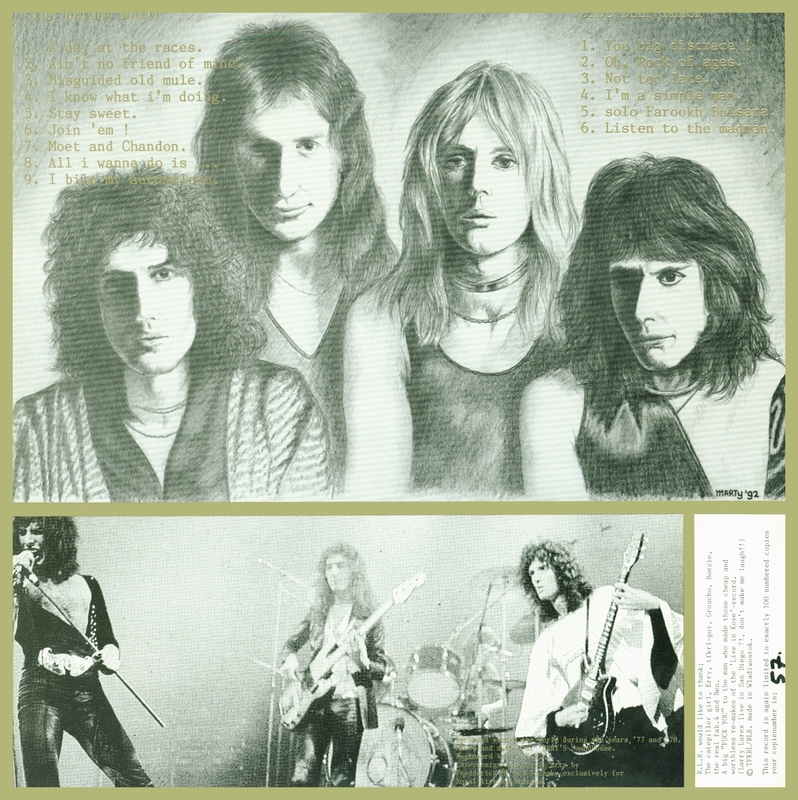 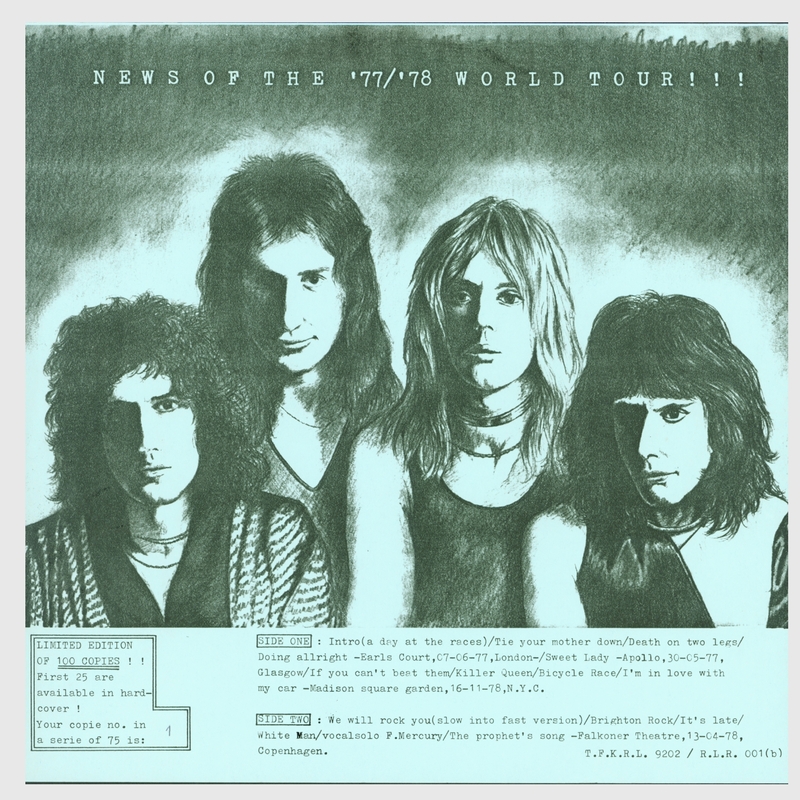 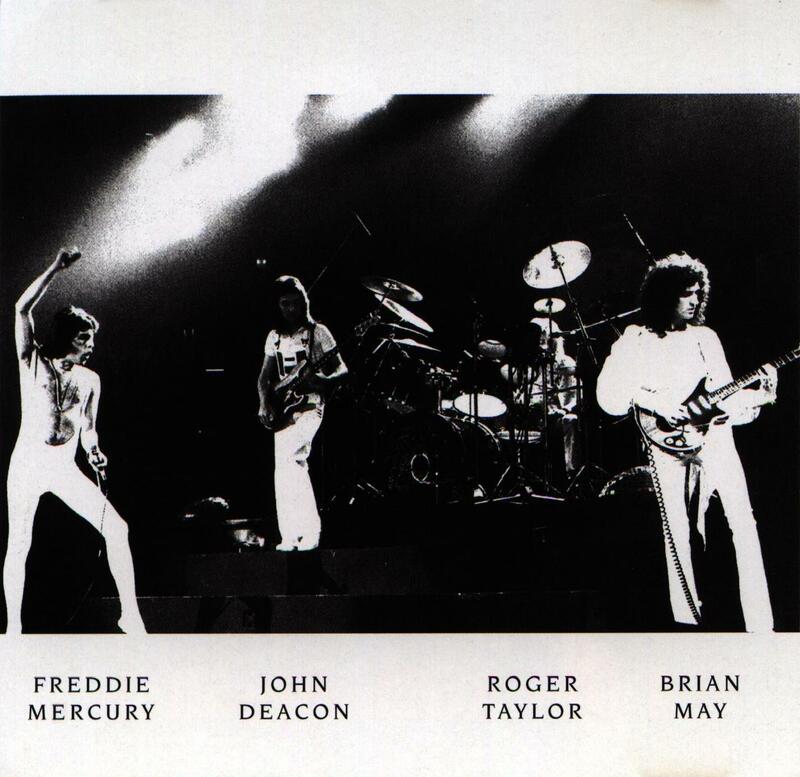 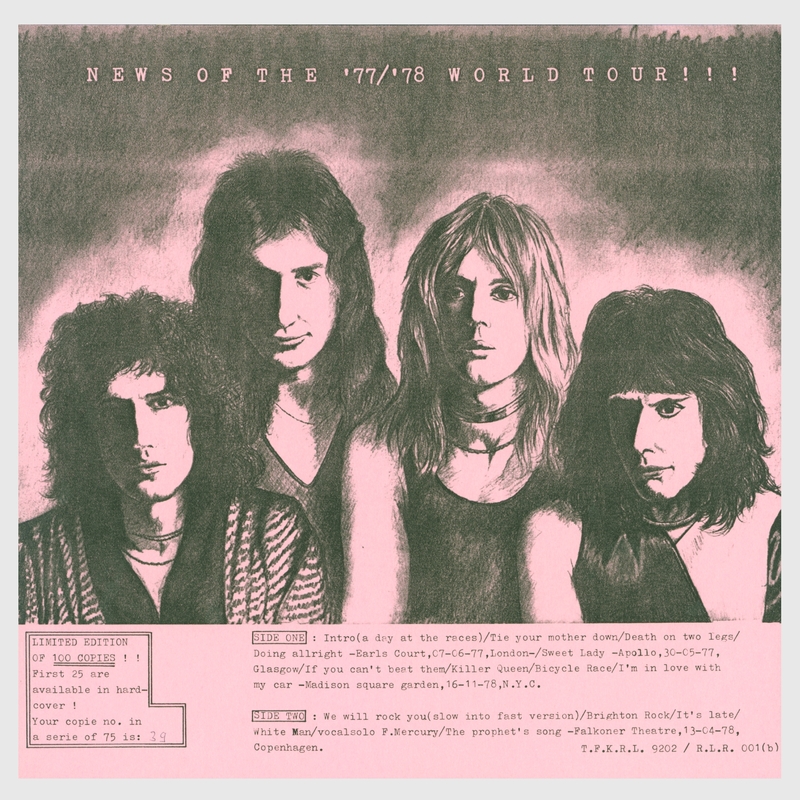 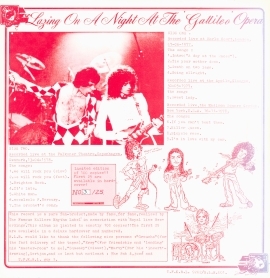 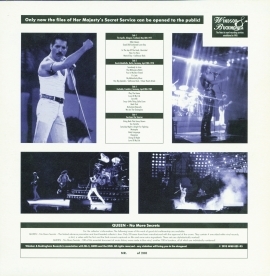 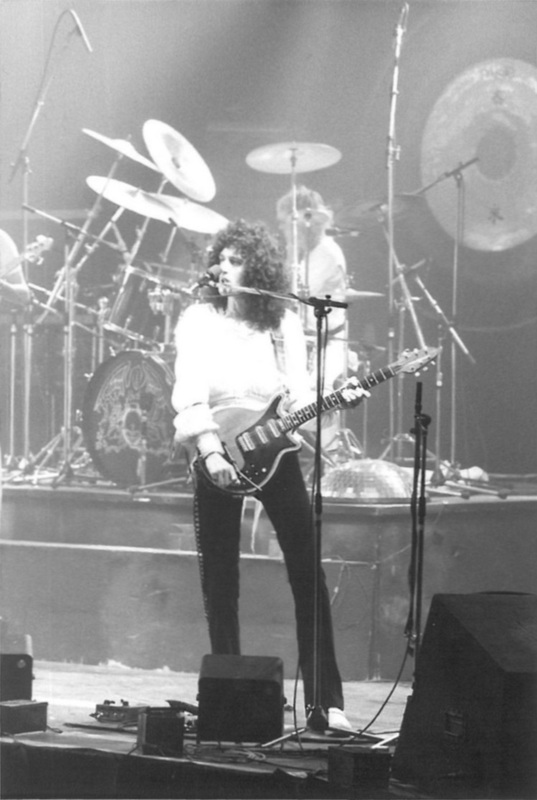 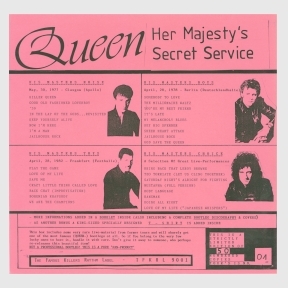 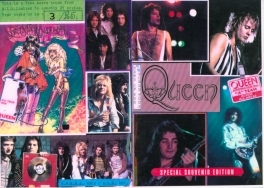 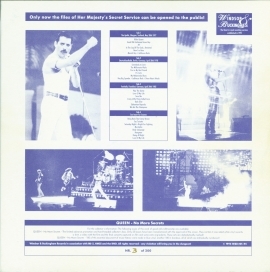 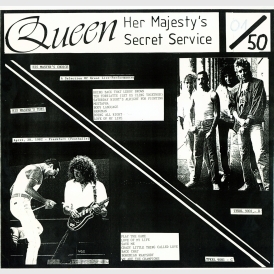 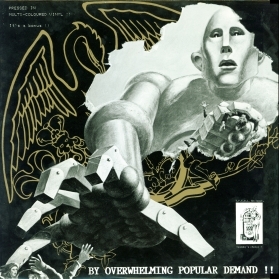 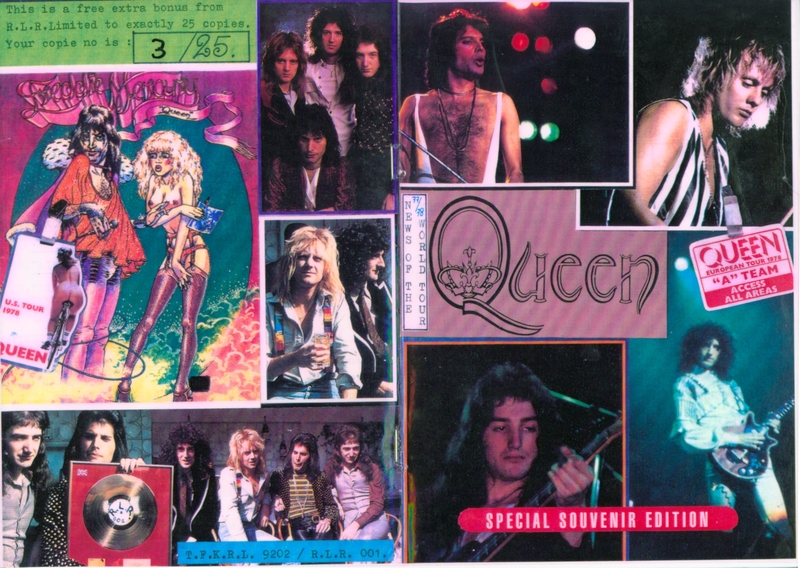 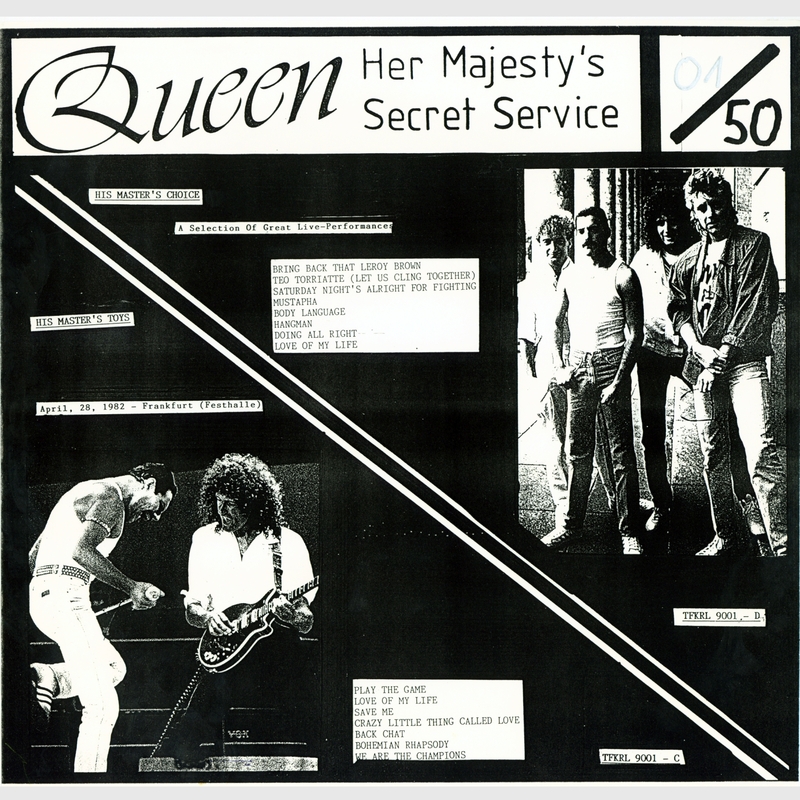 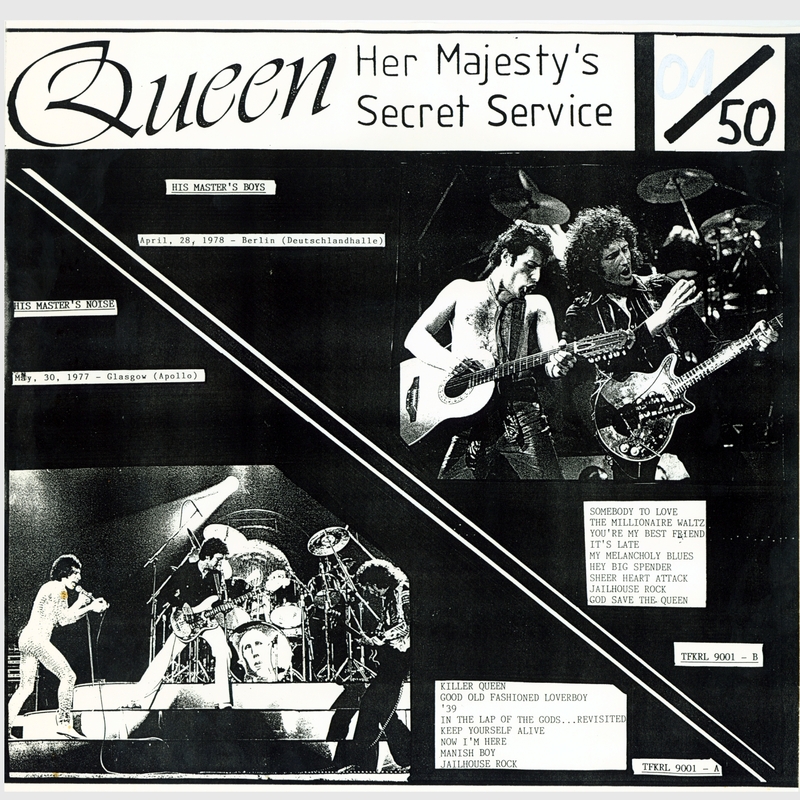 This was the first time the Glasgow 77, Berlin 78, and Frankfurt 82 shows were bootlegged, with sides 1 through 3 containing about a half hour from each audience recording. Another track from the Glasgow audience recording made it onto this 1992 compilation bootleg, also including songs from London '77, Copenhagen '78, and New York '78. 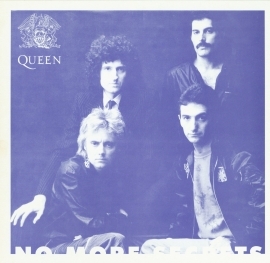 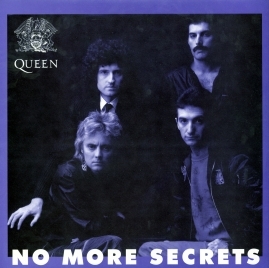 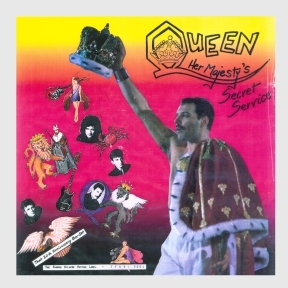 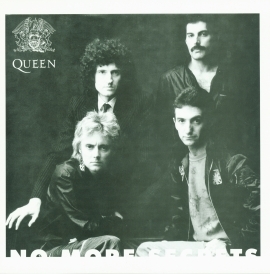 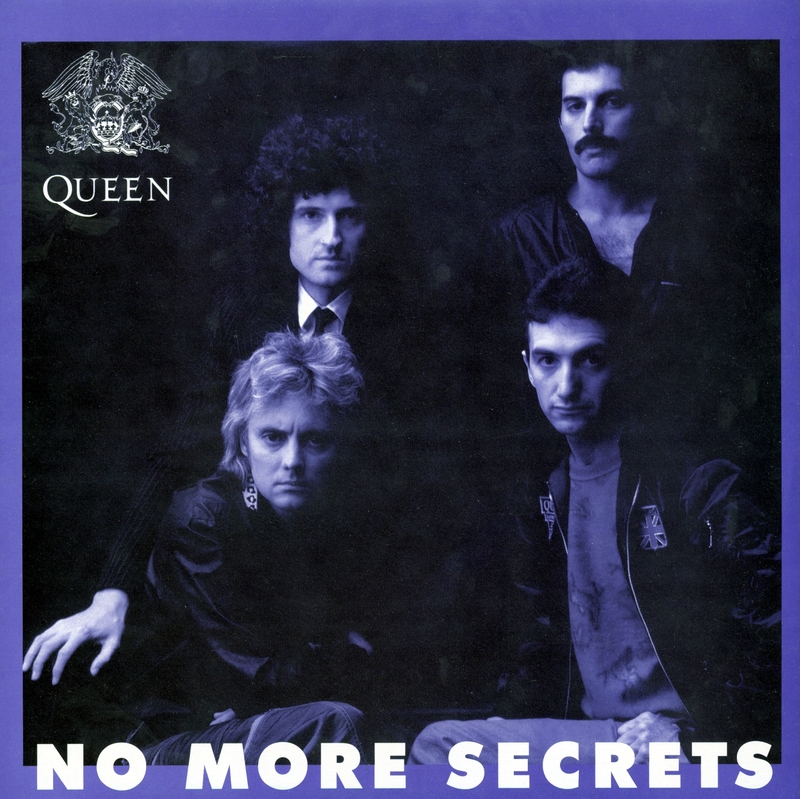 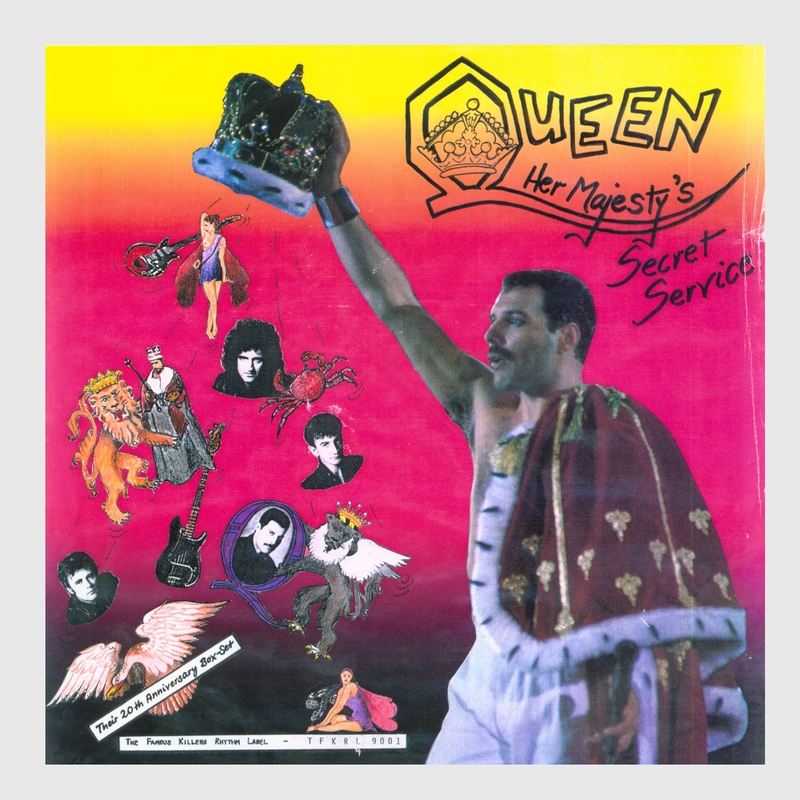 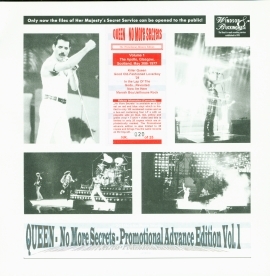 No More Secrets also came out as a boxed set, including a video and t-shirt. 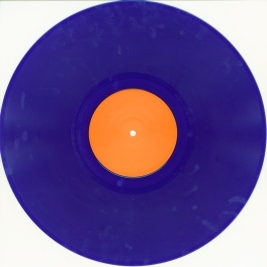 The four sides of vinyl were different colours. 25 copies were produced. 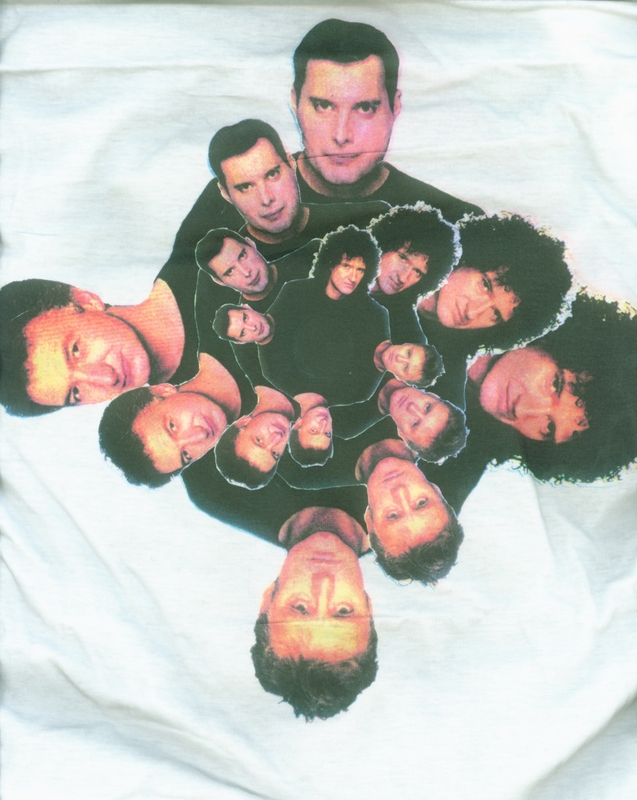 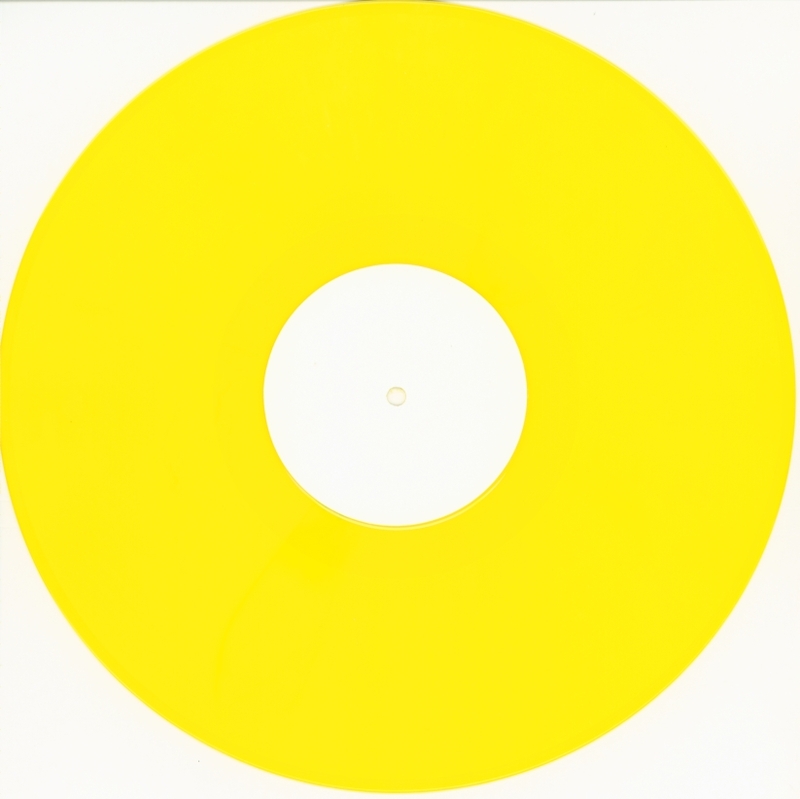 Another 25 copies of side A were produced as advanced copies. This copy is from a second generation tape, and complete. 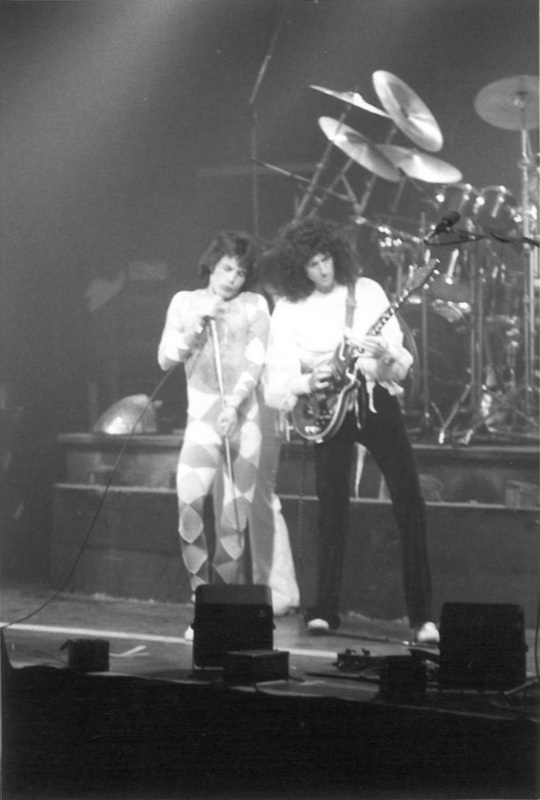 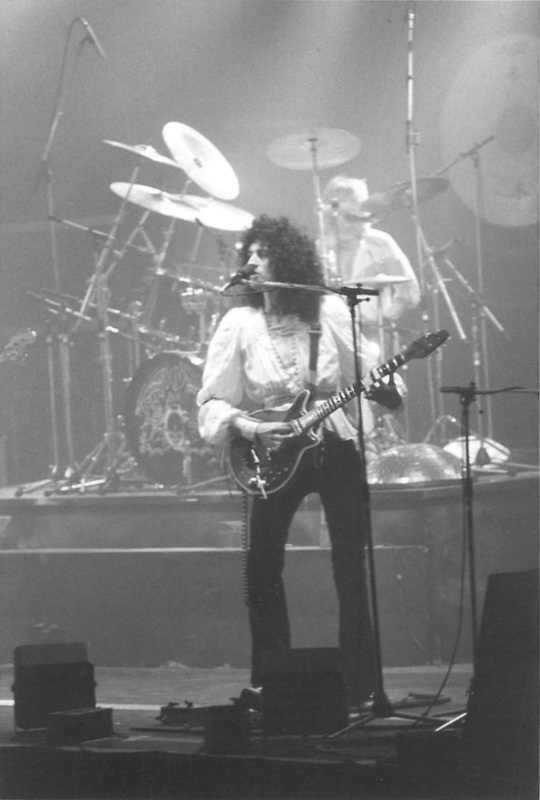 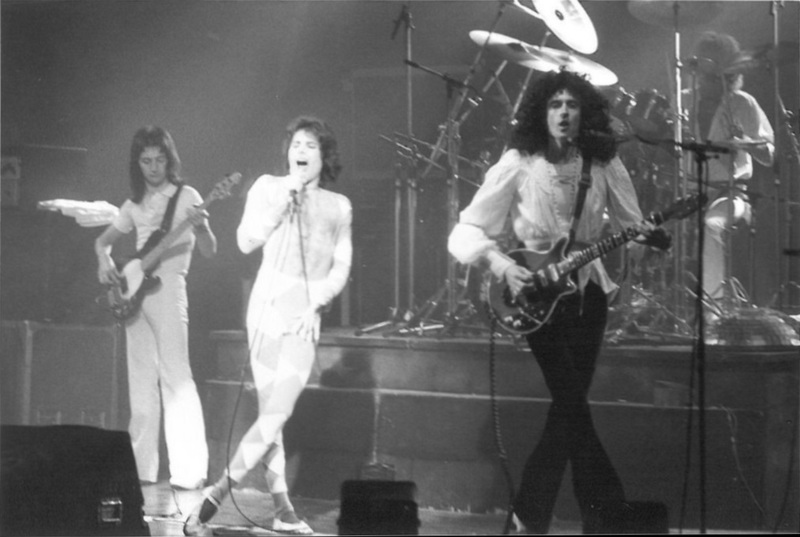 After the guitar solo in Keep Yourself Alive, Freddie throws his tambourine into the audience as usual, and it lands very close to the taper. Its new owner can be heard playing with it a for little while, and then again during the piano intro of In The Lap Of The Gods...Revisited. 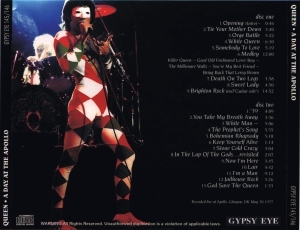 Gypsy Eye's bootleg from 2000 is about the same quality as the second gen copy. 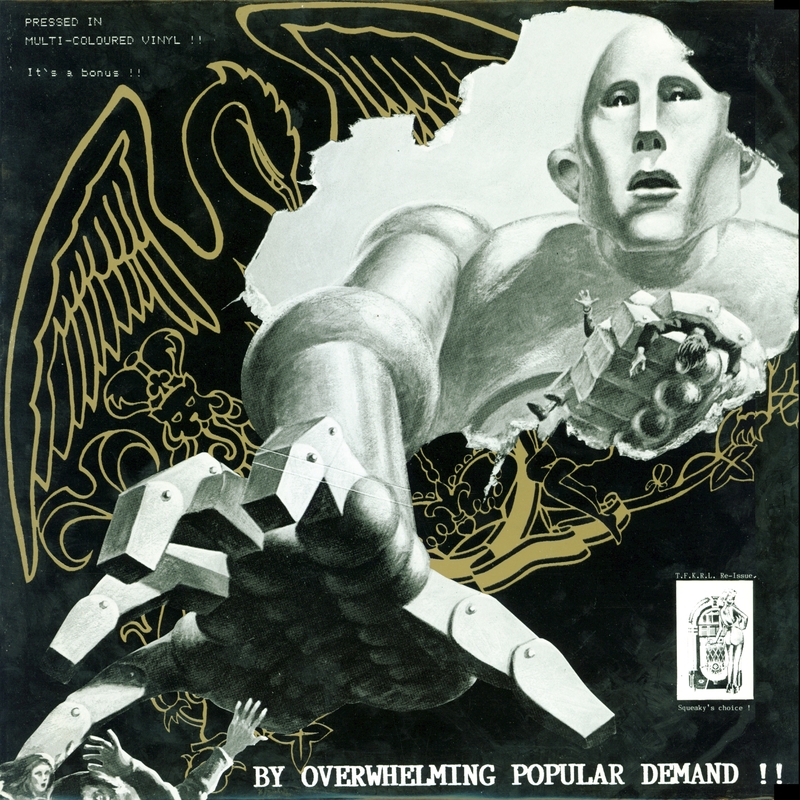 The taper insists this is the uncut master, but there are two cuts here while a complete second gen copy of this source is in circulation. 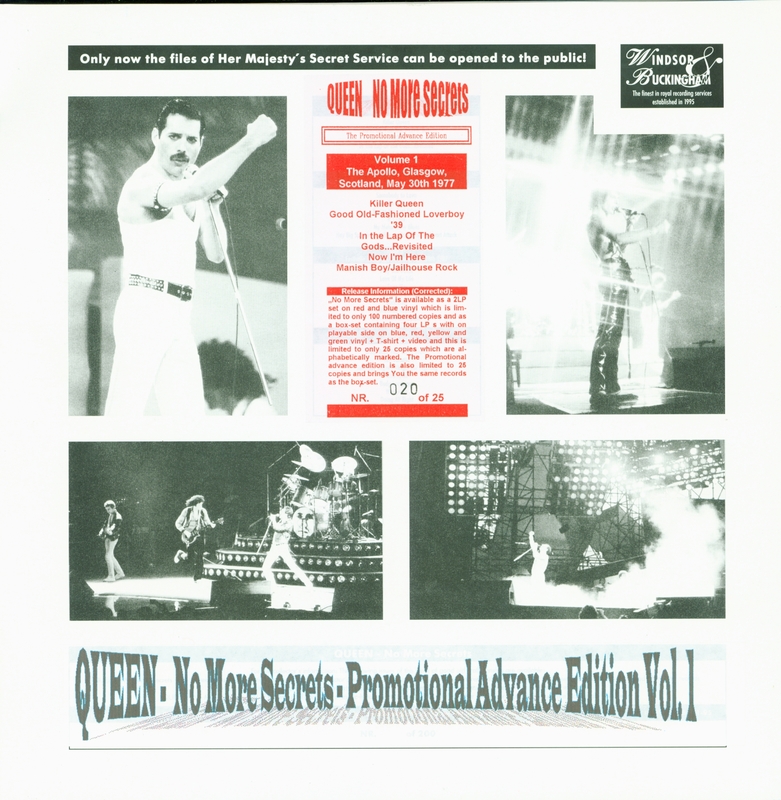 Wardour bootlegged the master copy in November 2008, filling in the gaps with the second gen tape.